A year ago, Bigshot, a child’s digital camera packaged as a kit of parts, was a concept in pursuit of a manufacturer. The search is still on, says Bigshot’s inventor, Columbia University computer scientist Shree Nayar. An achingly close deal with a major camera company fell apart last summer. For what makes Bigshot unique — children learn science lessons as they assemble the versatile, energy-efficient product — is precisely what scared away a traditional manufacturer. “They were struggling to make it fit into their business model,” Nayar related. Undeterred, Nayar and several grad students have continued to augment Bigshot’s website. Much more than a user’s manual or marketing tool, the site teaches principles of mechanics, energy, physiology and photographic technique. Instructions are now available for making a kaleidoscope, pinhole camera, periscope and various optical illusions. And a BrainShot quiz is under development to test visitors’ knowledge of science, photography and geography. Since it was launched, the site has received 500,000 page views “with minimal publicity,” Nayar says. Nayar has also launched a companion website, Bigshot Connect, that is a centerpiece of his original concept. Children everywhere are invited to upload and share their own photos and take amusing virtual tours of the world that are thinly cloaked geography lessons. “Bigshot Connect doesn’t require the use of a Bigshot camera,” Nayar points out. It’s available to anyone with a computer and digital camera. So even children in impoverished regions where such equipment exists, if only sparsely, might have access, he says hopefully. Bigshot -- It's a great little story. Thank you Julie. 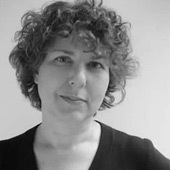 Julie Lasky is editor of Change Observer. She was previously editor-in-chief of I.D. and Interiors, and managing editor of Print. Lasky has contributed to The New York Times, Metropolis, Dwell, Eye, Slate and NPR. Art Center offers a new graduate track in social design that combines communications and technologies strategies with field work. IDEO.org unveils its first class of fellows. Getting tired of praise for the IBM Selectric? What else do you expect from writers? Interview with illustrator and book artist Tomi Ungerer.